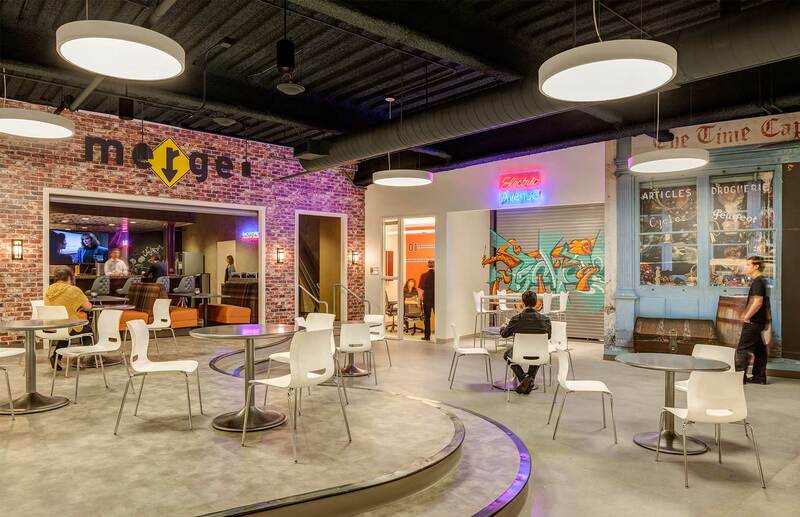 For Motorola Mobility’s California headquarters we designed environmental graphics around the theme of pop culture symbols and urban spaces. 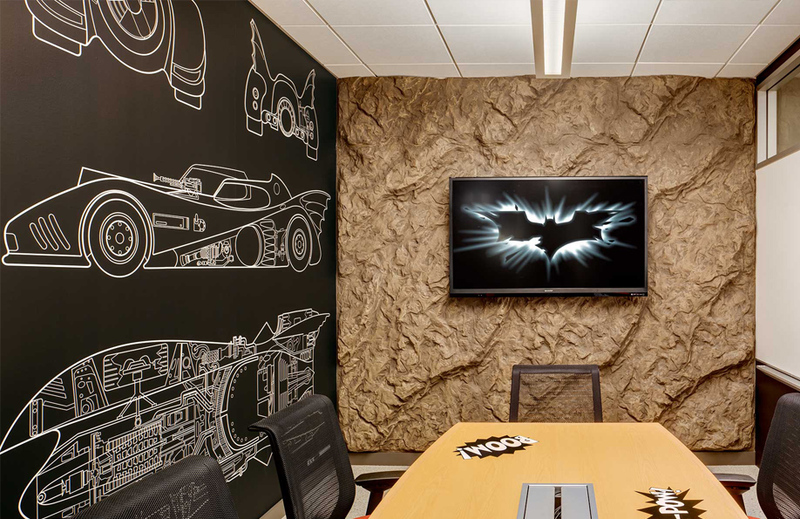 Their engineering focused team embraced a literal representation of famous characters like Batman and the cast of the movie Cars. 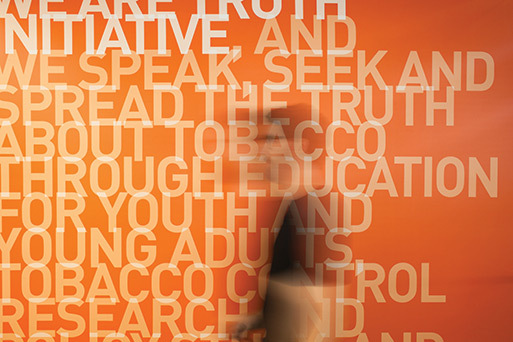 The diverse set of graphics and imagery connects the employees of Motorola with their imaginative company culture. 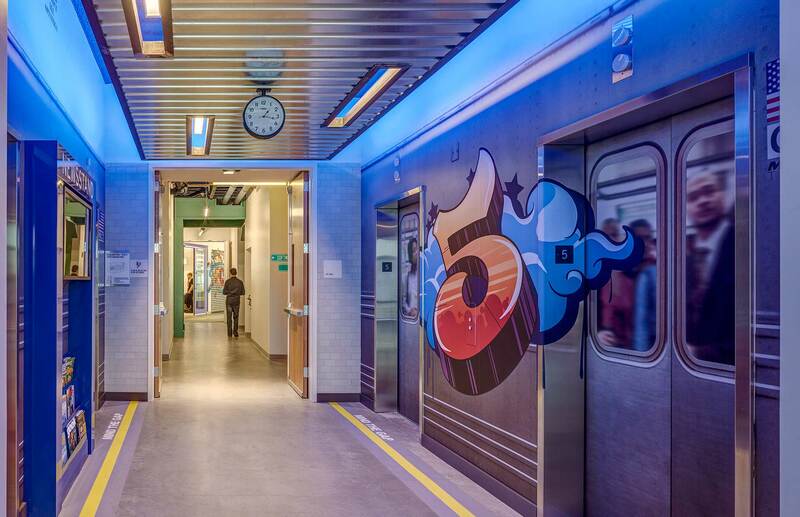 For Motorola Mobility’s California headquarters we designed environmental graphics around the theme of pop culture symbols and urban spaces. 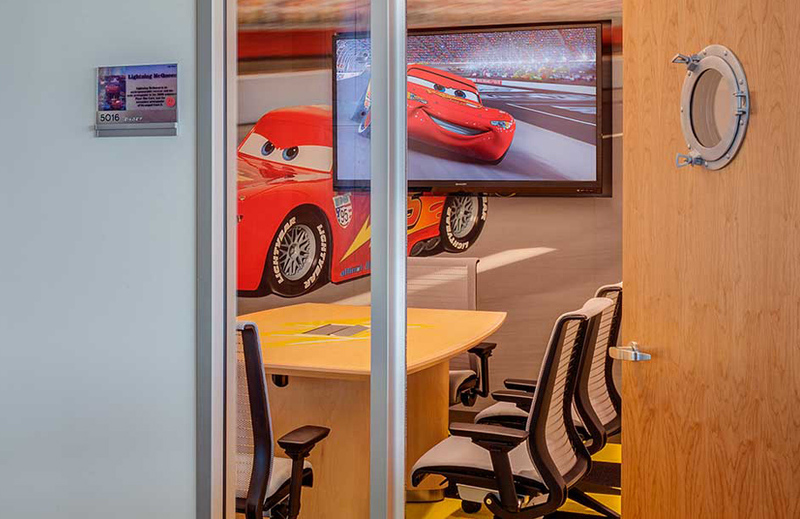 Their engineering focused team embraced a literal representation of famous characters like Batman and the cast of the movie Cars. The diverse set of graphics and imagery connects the employees of Motorola with their imaginative company culture.